Weather alert- this years Blackberry winter will occur today and tomorrow. My father called this last cold snap in May “Blackberry winter” because it always happens when the wild blackberries are blooming. Looks like 40 degrees or even high 30’s here tonight and then another cold night Thursday. 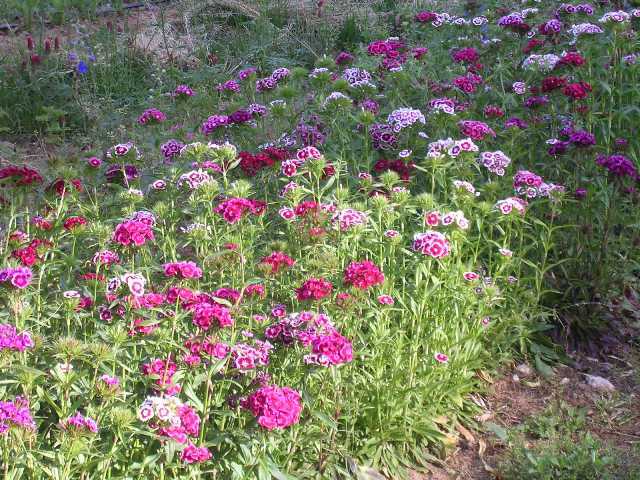 Our friends who farm in central Texas called last night in a panic because they have an acre and a half of zinnias and celosia planted and it was going to be in the high 30’s which, as farmers know, could mean frost if the forecast is slightly off. They were pulling out the covers to protect it all! No such extreme actions here at Peregrine Farm as everything we have in the ground has seen cool temperatures and we know that after this we are into the steady sure warming of May. Next week is pepper planting week and they will be happy to have avoided yet another Blackberry winter. Peppers, second only to Eggplant, hate cold soil and air temperatures and will just sulk if planted too early in the season. Our belief is that a happy pepper is one that goes into warmer soil and continues the grow vigorously, sure they will grow and make peppers if you plant them early but probably not as well if one waited just a week or two. Sometimes the frenzy of spring has nothing to do with crops and crop care. I told Jennie the other day, who has seen me wear a tool belt a lot this spring, that really my job is Maintenance Man. Sure farmers are supposed to spend the winter fixing things and preparing the tools for the busy season ahead but sometimes the problems are not apparent until you start using the equipment in the spring. The big one so far was the rebuilding of the big walk-in cooler (last week) but yesterday was a classic breakdown as I started to mow the last of the winter cover crops and tore up a universal joint on the mower, arghh!! Parts ordered and I will have it fixed next week, not too bad, sometimes these repairs can drag on for weeks waiting for parts. Now we will just hope that nothing else breaks down, soon. Mothers Day and Graduation weekend is upon us, come on down to market and get everything you need. Plenty of flowers for the occasion. Massive amounts of Sweet William (Dianthus) that Betsy has been cutting all week. All kinds of Dutch Iris yellows and blues, beautiful. The simple but satisfying Bachelors Buttons. The last of the cool colored Anemones are giving way to the ethereal oranges, reds and yellows of the Temptress Poppies. Ranunculus with their rose like buds but in yellows and oranges too. Betsy will have a good supply of mixed Bouquets as well. The great spring vegetable season continues! Some of the best Spinach we have grown in years. The last full week of Broccoli Raab, do not miss it. Lettuce is still beautiful too; Green Boston, Red and Green Leafs and Romaine. A great supply of the spicy Shunkyo Chinese long and Easter Egg Radishes. The tender, sweet Japanese Turnips are here with gusto.